The following is a selection of poems for mothers, suitable for reading at the funeral or memorial service. A poem can be added to the funeral program, that is handed out to guests. Expressing our feelings towards our mother can be very emotional and difficult. This is when poetry or the lyrics from a song can rescue us. Scroll down to read several more, as well as additional pages of funeral poems for mom. We also have a selection of readings, suitable for the funeral of a mother and a number of funeral quotes. I am a civil funeral celebrant in Australia and have led thousands of services since 1979. My late father wrote this poem at the time of the death of his own mother back in 1956. Many of my clients have chosen it for their own mother's funeral service (not knowing my father wrote it). (This poem is written in the mother's voice. A beautiful poem sent in from one of our readers. "This is the poem we put in my mother's program for her memorial service." eternal, deathless. Yet they never lived! of living and of loving; come what may. what good did thee do? of a smile or frown. of a lonely walk on. and the breath of a prayer. Shall wave above thy head. Spring forth to life and bloom. And soar to meet thy God. Would You Like A Custom Personalized Poem written just for you? Have A Favorite Funeral Poem for Mothers or A Poem You Have Written? 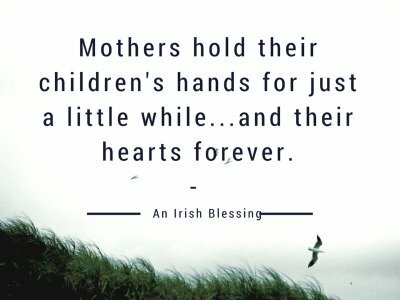 Do you have a great funeral poem for mothers? Share it!